Four years ago I conducted a 'loose' experiment on a Christmas tree to test the weight distribution of branches for Lorenz curve wealth distribution similarities in an economy. 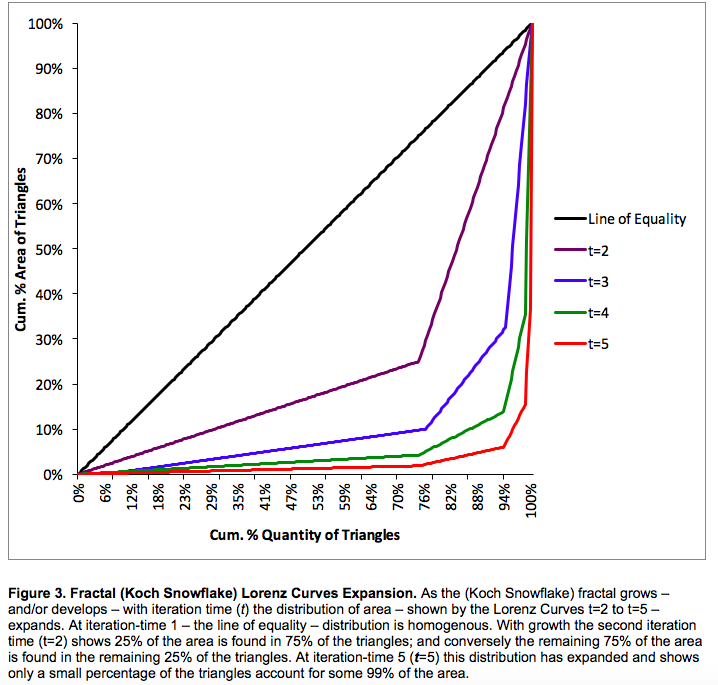 This week I finished the Figure 3 chart (below) after modelling the Koch Snowflake fractal for (Lorenz) area distribution. Took me hours.